Population pressures, climate changes and deforestation are driving man’s most wanted resource to scarcity. Let us explore one more way to augment this resource. When you burn fossil fuels or hydrocarbon fuels, the exothermic combustion reaction of Hydrogen in the fuel and Oxygen in the air produces water. This water goes out as vapour along with the flue gas. In coal firing, moisture in the coal augments the water quantity. The quantity of water produced is much more than the steam cycle make-up quantity in fossil fuel power plants. If one can economically capture this water and use it for steam cycle make up and other utility applications in the power plant, it can greatly reduce the pressure on regional water balances. This will be a boon for low rainfall regions and desert economies. The combustion of hydrogen, the exothermic reaction, produces heat and water. 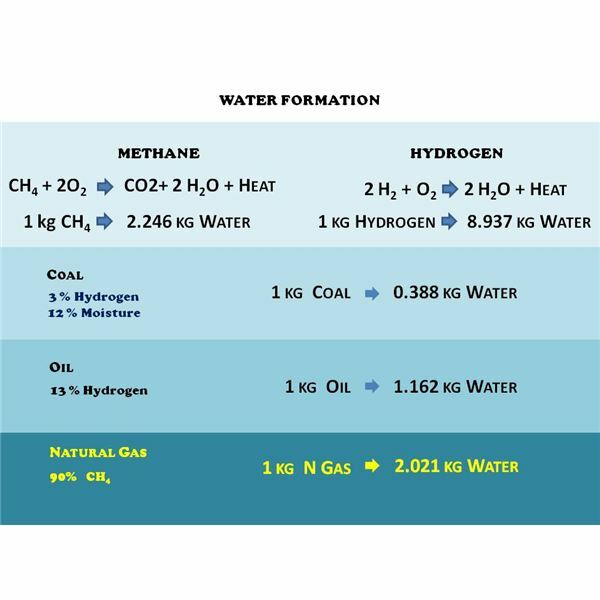 The water quantity produced is almost nine times the weight of hydrogen. Bituminous coal contains around 3 % hydrogen which along with a 12 % moisture in coal produces almost 0.388 kilogram of water per kilogram of coal. 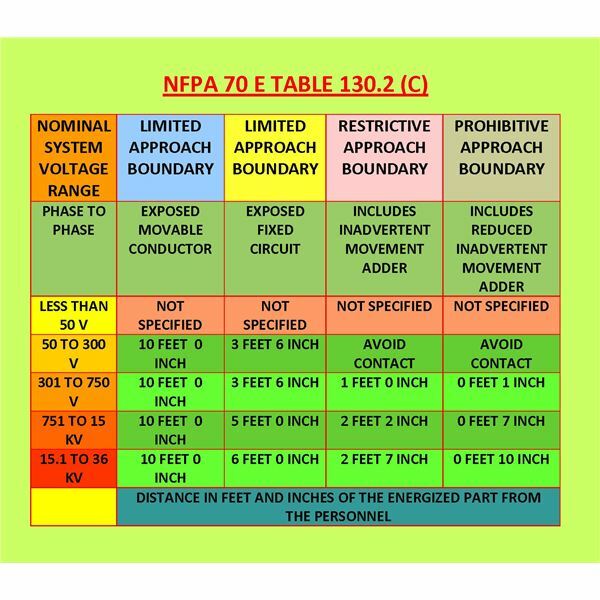 A 500 MW plant consuming around 300 tons of coal per hour produces 116 tons of water per hour. Even with a fifty percent yield, a flue gas water recovery system can meet the steam cycle makeup water requirement. 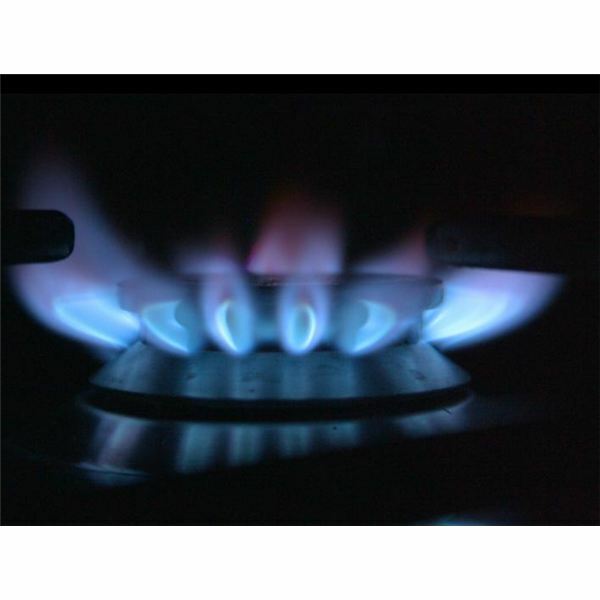 Natural gas contains 90 % methane which means one kilogram of natural gas produces almost two kilograms of water. A 500 MW gas turbine plant consuming 125 tons of natural gas per hour produces 250 tons of water vapor. The downside steam turbine cycle requires a make-up water of 50 tons per hour. A flue gas water recovery system with a fifty percent yield not only meets the steam cycle makeup, but also meets a part of the circulating water makeup. Fuel oil contains 13 % hydrogen, which means one kilogram of fuel oil produces 1.16 kilogram of water during the combustion. 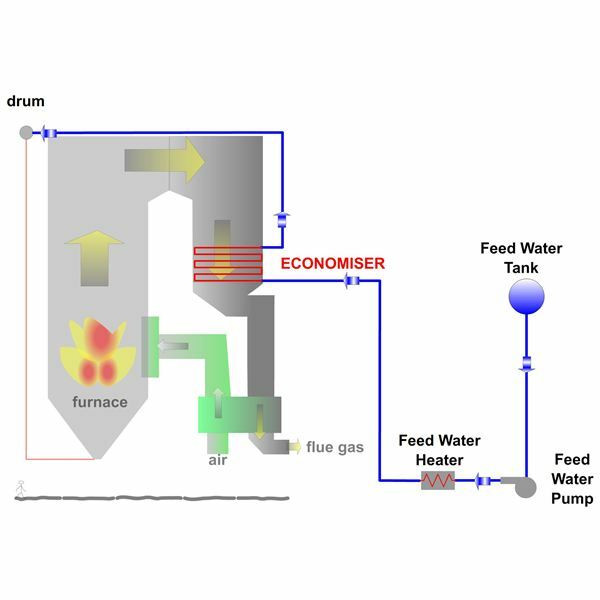 Capturing water from flue gas may not be economical with current technology. However, developments and necessity will make it possible in the future. 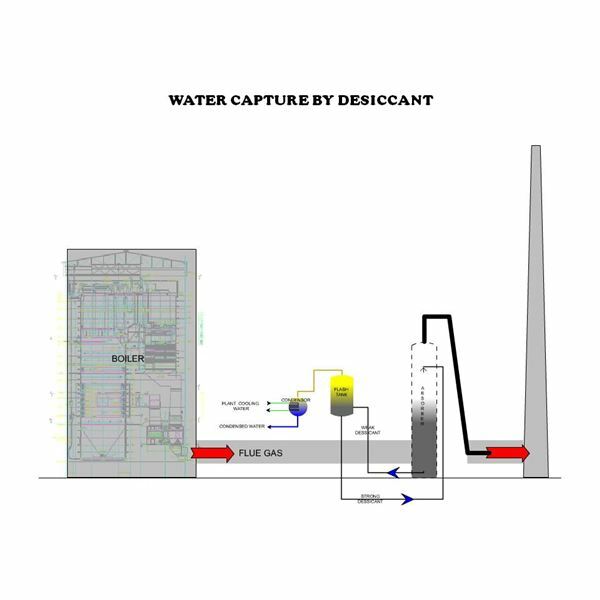 Combined cycle plants with cleaner and low temperature exhaust flue gas is the prime candidate for water recovery. When the requirement for capturing CO2 becomes mandatory, flue gas cooling will become a necessity. Integrating water recovery with CO2 capture will be the new power plant norm. Use heat exchangers to condense the water. Heat exchangers using plant circulating water, or as part of the steam condensate cycle, cool the flue gas to temperatures below the dew point, in the range of 40 °C. 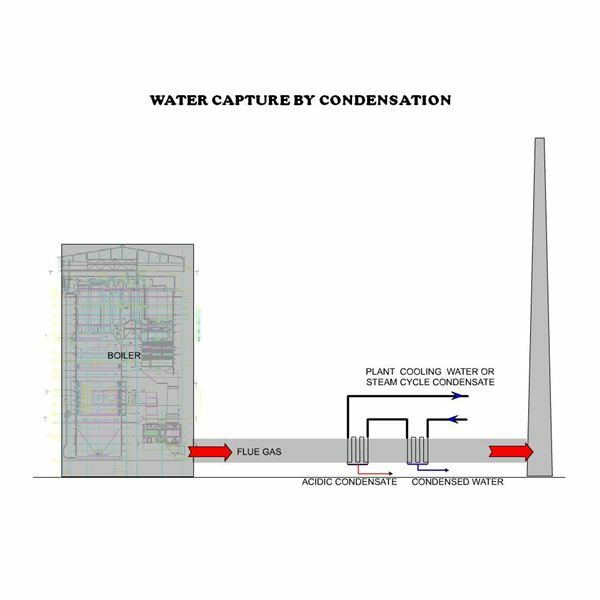 The condensate collection augments the water source in the plant. Since the volume of the flue gas is very high, it may be practical to cool and capture water only from part of the flue gas. 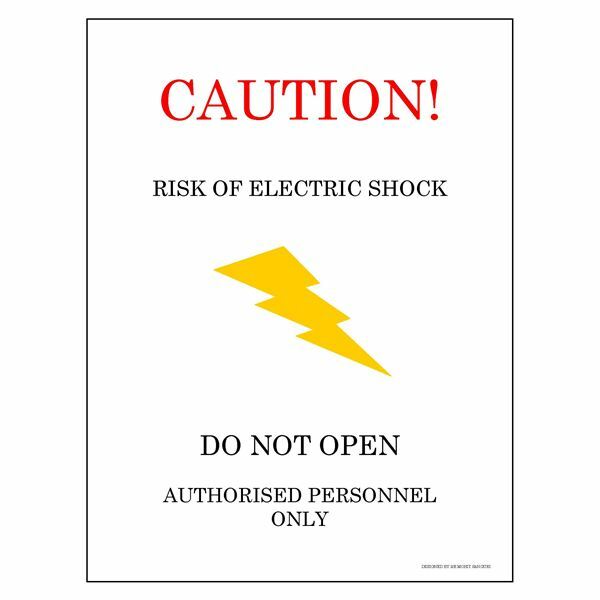 Additional cooling water, parasitic power, and capital investment are the main economic considerations. Removal of acidic constituents in flue gas like SO2 and NOx condensing at the 120 °C range necessitates a two stage recovery. The first stage acidic condensate is sent to waste treatment. The heat exchangers are to be from acidic corrosion resistant materials. Use a desiccant to absorb the water. Another method is to use a desiccant to absorb the water. Flue gas passes through a liquid spray in an absorber tower. The desiccant absorbs the water. Flashing releases the water and regenerates the desiccant. Cooling the vapors produces water. Cost of the desiccant, additional cooling water, parasitic power, and capital investment are the main economic considerations. 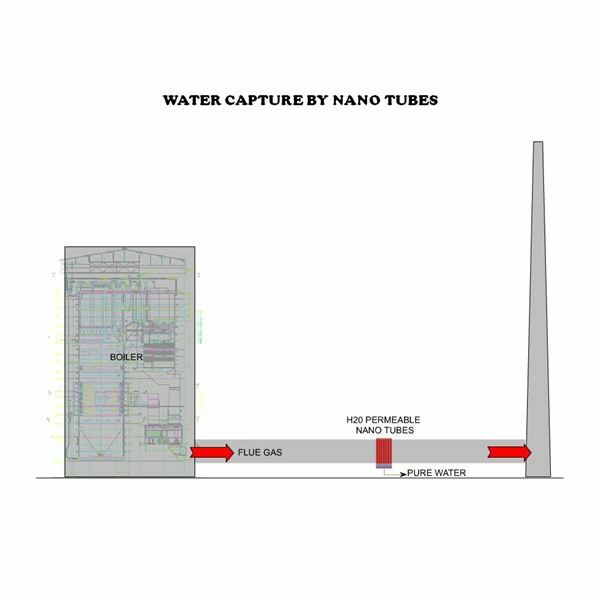 This is the most promising method for flue gas water capture. Nano membrane tubes that allow permeation of only H2O molecules is the key. This is almost like a solid state system. This does not put undue pressure on auxiliary systems and can directly deliver water that is pure without any further processing. The nano membrane tubes are still in the development stage. Like the reverse osmosis membrane technology that is very popular today, higher production volumes will bring down the cost and make water recovery a reality. As technology develops, water recovery from flue gas will be an integral part of the thermal power plant cycle, making it more environmentally friendly.